New customers only. No restrictions while playing with cash. Min. refund bonus is £10. Wagering on bonus 60x. Refund bonuses granted next day when 1st deposit has been lost. When playing with refund bonux max bet is £5. Yeti Casino is a fun and user-friendly online casino that is available to players from all around the world. With its large gaming collection, simplified design and safe, reliable payments, it strives to provide its members with a truly state-of-the-art gaming experience. The online casino went online in 2017 as the first multi-lingual and international casino product of L&L Europe Ltd., a relatively large gambling operator based in Malta. It focuses on offering secure, high-quality localised online casinos and it owns various brands such as All British Casino, Yako Casino, Norskeautomater, Karl Casino, No Bonus Casino, and others. Just like its other gaming platforms, Yeti Casino offers mainly games from just a few software providers – RNG -based games by NetEnt, Microgaming, and Amatic, as well as live dealer games by Evolution Gaming. All games run directly in the web browser of users’ computers and mobile devices, so no download is required. Apart from being quite varied, the gaming collection at Yeti Casino is also quite massive, featuring more than 550 slots, card and table games, video poker variations, progressive jackpot games and scratch cards. Its stunning Live Casino, however, is one of the finest live gaming platforms available online – streamed in HD quality 24 hours a day, the games are hosted by croupiers of different nationalities and allow players to choose the table limits that suits them best. In addition, multiple currencies can also be used easily on the platform. The casino has a beautiful, yet extremely simplistic design and overall appearance that make the website smooth and easy to use. The blue-and-white colour scheme fits perfectly with the name and mascot of the casino, the friendly, hairy Yeti who brings players fun, excitement, and many rewards. Registered members receive not just a nice sign-up bonus but can also take advantage of the various cash back offers, reload bonuses, and other promotions. In addition, Yeti Casino has exciting weekly slot tournaments with prizes of up to £1,000. Online Since The casino opened its virtual doors for the first time in 2017. Minimum Deposit/Withdrawal The minimum amount players can deposit into their Yeti Casino account is £10 or £30 via bank transfer. They cannot withdraw less than £20 from their balance. No Deposit Bonus Yeti Casino does not currently offer no-deposit cash bonuses, but it has a nice Free Spins offer in store for its new members. Once they register an account, they receive 23 free spins on Starburst or Joker Pro. Any winnings generated from the free spins are considered bonus money and are, therefore, subject to a 40x wagering requirement. It must be met within 24 hours or the bonus funds will be forfeited. Players are allowed to withdraw a maximum of $/£/€100. 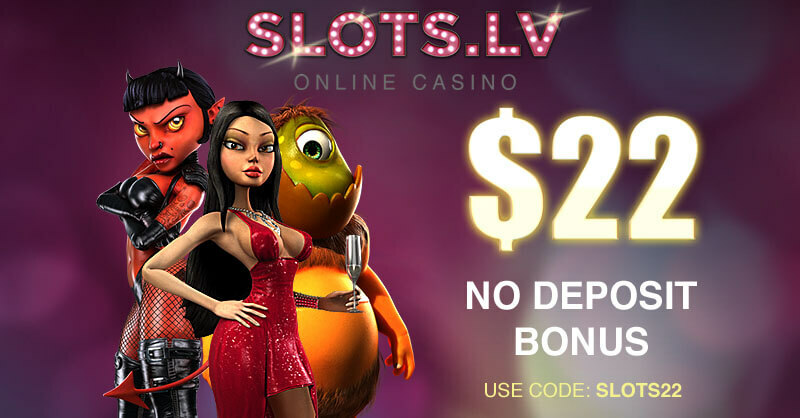 Once players register an account and receive their 23 free spins, they need to make a deposit into their casino balance in order to play real-money games. 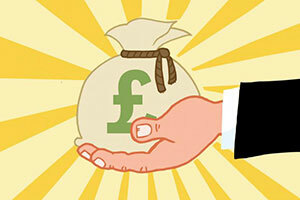 Upon depositing £10 or more, they are granted a 100% Refund Bonus of up to £111. 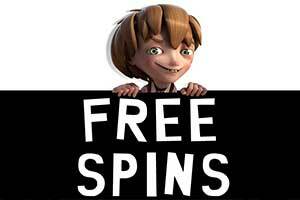 They receive an additional 77 free spins that can be used on Starburst or Joker Pro. The Refund Bonus needs to be wagered 40x before a withdrawal can be made and before it expires after 30 days. The winnings from the free spins also need to be played through 40x. Only players from the United Kingdom are eligible for this Welcome Bonus, while residents of other countries will receive a different sign-up offer. Players who make their first deposit into Yeti Casino via Skrill, EcoPayz, or Neteller, are not eligible for receiving the bonus. The wagering needs to be completed on Slots and Other Games – bets placed on Video Poker, Table Games, and Live Casino will not be counted. The maximum allowed bet when playing with bonus funds is £5. Yeti Casino has a nice range of promotions that run regularly on the website. One of them is the Saturday Cash Back offer, which gives 10% Unlimited Cash Back on all deposits that have been made and lost every Saturday. The minimum amount of Cash Back that can be received is £10 but there is no maximum limit and no wagering requirements. 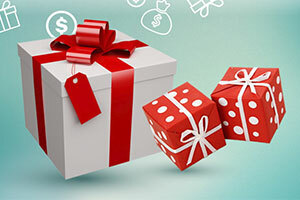 The casino has prepared many other promotions and surprises such as reload bonuses, individual offers, and free spins. In addition, there are weekly slots tournaments, where the best players can get attractive prizes in the form of cash bonuses. Loyalty Programme Yeti Casino has a nice loyalty programme for its members and unlike similar schemes in other casinos, this one is very simple and straight-forward. Players who load funds into their account automatically receive Yeti Points that can later be redeemed for cash. For each £20 in deposits, they are granted 2 points. However, when they withdraw £20, the casino deducts 2 Yeti Points from their user account. Players can redeem the points for cash once they collect at least 50 points. Their cash balance also needs to be below £10. 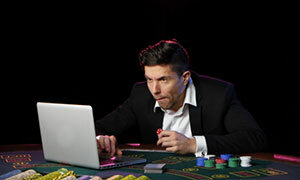 VIP Programme Currently, the online casino does not have a VIP Programme, but if such is introduced, eligible players would be contacted by mail. Software Yeti Casino has teamed up with leading gaming studios such as NetEnt, Microgaming, Amatic Industries, Evolution Gaming, NextGen, and Scientific Games in order to provide its players with varied, top-quality gaming content. Popular Jackpots The gaming lobby at Yeti Casino hosts some of the most popular progressive jackpot slots from NetEnt and Microgaming. These include Mega Fortune, Mega Moolah and Mega Moolah Isis, Major Millions, Tunzamunni, Treasure Nile, Arabian Nights, Hall of Gods, and Divine Fortune. 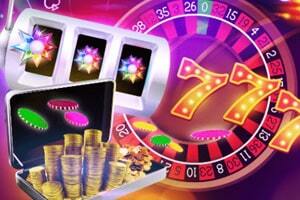 Game Types The online casino offers exciting casino games of various themes, types and styles. All major categories are represented, including Slots and Video Slots, Table Games, Live Casino, Video Poker, and Jackpot Games. Live Casino The Live Casino gives registered players access to a massive collection of live dealer games from Evolution Gaming. Live roulette, blackjack, baccarat and poker are available, as well as other games such as Dream Catcher and Football Studio. Mobile Casino Yeti Casino has a modern, instant-play platform that uses the latest technology for mobile optimization. This means that no download is required and the casino can be accessed in-browser from any iOS or Android device. Deposit Methods Players can opt for a wide variety of fast and safe deposit methods, depending on their individual preference and the country they currently reside in. Currently, the casino accepts Bank Transfer, Visa, Mastercard, Skrill, Neteller, iDEAL, Paysafecard, Flexepin, Boki, Interac, Zimpler, Klarna, TSI Payments, EcoPayz, Bitcoin, and Sofortueberweisung. Currencies The online casino accepts payments in GBP, EUR, CHF, SEK, NOK, CAD, NZD, INR, and ZAR. Languages The casino site is available in several languages – English, German, Swedish, Norwegian, and Finnish. Support Yeti Casino provides professional and reliable customer support 24/7 via Live Chat, email (support@yeticasino.com), phone (+356 2033 0961). Players can also get in touch with the support representatives via the online form available at the website. Licences L&L Europe Ltd., the owner and operator of Yeti Casino, is licensed and regulated by the Malta Gaming Authority under license number: MGA/B2C/211/2011. The company also holds a remote casino license by the UK Gambling Commission under license number 000 038758 R-319451 001, which allows it to provide its services to customers in the UK. As soon as players open the Yeti Casino site, they will instantly see the impressive gaming library on offer. It includes hundreds of titles from some the world’s leading gaming studios such as NetEnt Microgaming, including their most popular hits and their latest releases. Players can browse through several main categories, namely Live Casino, Video Slot, Table Games, Jackpot, Slots, Video Poker, and Other Games or look for their favourite game in the Search bar. The online casino allows its games to be accessed in demo mode, which means that they can be played without wagering any real money. There are two exceptions and, of course, they are the live dealer games and the slots with progressive jackpots. With several hundred titles, the collection of slots at the casino should be sufficient for most players. There are various classic slots on offer and although some casino fans may find them old-fashioned, others can spend hours spinning their reels. Many of these three-reel games in the lobby are provided by Microgaming, which is famous not only for its huge progressive jackpots but also for its fantastic vintage slots. Among them, we can see beautiful games such as 108 Heroes Multiplier Fortunes, which is played on a standard 3×3 reel grid but has 9 pay lines. Other popular classic slots by this provider are Diamond Empire, which has 15 lines, and Fantastic 7s, which has significantly simpler graphics and gameplay. In fact, there are not many retro-looking classic slots resembling old-school slot machines in Yeti Casino. Most of them have multiple pay lines, Wild or Scatter symbols, free spins and even progressive jackpots. Great examples for this are the Quick Hit Super Wheel Wild Red slot by Scientific Games, which is played on up to 30 lines and there is a feature side bet or the many famous slots by Amatic Games – Bells on Fire, Lightning Hot, or All Ways Fruits. The majority of slots in this casino, however, are video slots – a type of online slots with 5 to 6 reels, multiple pay lines, and plenty of special symbols and bonus features. Moreover, there is a noticeable difference in the graphical quality between classic and video slots. Games such as Avalon II, Starburst, and Pink Elephants come with much better animations, enhanced sound effects, and higher overall quality. Other popular video slots you can play for free or for real money at Yeti Casino are Spinata Grande, Jumanji, Butterfly Staxx, Bonanza, The Mask, Gonzo’s Quest, Zeus III, Lost Island, and many others. Branded slots and slots inspired by TV and films are also among the most sought-after games in online casinos and here, players can enjoy Game of Thrones, The Mask, Vikings, Battlestar Galactica, Planet of the Apes, or Terminator 2. Usually, the minimum bet allowed is £0.01 per spin but players can adjust the amount they wager each time by selecting the number of coins, their denomination and the active paylines. While many games can easily be described as penny slots, players should know that often, the biggest payouts and the bonus features cannot be triggered unless you bet the maximum amount. The online casino has a surprisingly large collection of roulette variations that could be found under the Table Games category. They are all provided by NetEnt, but since they were developed at a different time and belong to different series, they feature a different design. Players at Yeti Casino can opt for American, French or European versions of the classic casino game and choose the table limits that would suit their style of play and bankroll the most. In most games, the players can bet anything from £1 to £500 per spin. NetEnt’s portfolio of roulette games includes different variations such as the latest American, European and French Roulette versions. They come with a modern design and a convenient layout where the wheel is in the centre of the screen, right on top of the betting layout. 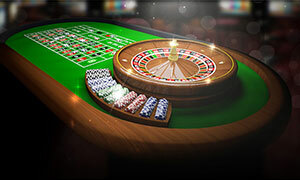 Players can adjust game settings such as background music, sound effects, and the dealer’s voice, change the soundtrack, turn off the introductory video, activate the quick spin feature, and adjust the graphics quality. These roulette games also come with statistics, hot and cold numbers, and an Autoplay feature where up to a thousand auto spins can be loaded. In addition, there is a racetrack layout with neighbour bets, even if you choose to play the American Roulette. There are several other versions of the iconic casino game, namely French Roulette and French Roulette Low, that have a more classic layout, fewer features, and no racetrack or special bets. While the table limits in French Roulette are standard, the latter variation allows players to bet less – from £0.10 to £50 per spin. Another low-limit game is Roulette Low, which features a racetrack and offers bets from £0.10 to £50. High-stakes gamblers, on the other hand, would probably prefer Roulette High Limit. In this game, they can wager from £10 to £5,000 per spin and place special bets or any other type of bet that could be found in the additional racetrack layout. Yeti Casino offers its members a great abundance of blackjack games, each having different table limits, design and rules. Most of the titles are from NetEnt and are available in three versions – Standard, Low and High, terms that refer to the bet limits. In the standard games, players can bet from £1 to £40, while in the low, they can wager from £0.10 to £5 per hand. The minimum bet in the high-limit variations is £25 and the maximum bet amount is capped at £500 per hand. NetEnt has several series and they all can be played at Yeti Casino, allowing players to adjust certain settings – they can activate the sound effects or the fast play. The three Blackjack Classic games are rather standard and should appeal to most fans of Twenty-One with their simple gameplay and classic casino look. Blackjack pays 3 to 2, the dealer draws to 16 and stands on 17, while insurance pays 2 to 1. Players can bet on up to 5 hands simultaneously. The Professional Series is a large range of blackjack games that stand out with their high graphics quality and an even more adjustable game settings such. Blackjack Pro Standard/Low/High Limit allows you to play with up to 3 hands and try to win by following the standard rules. Along with the typical blackjack payout, there is also a Double Blackjack payout – for two Jacks of Spades, you win 100 to 1, while for a Pair of Jacks, you get 25 to 1. If only the first card is Jack, you receive a payout of 10 to 1. There are also three Blackjack Single Deck Professional Series games where the dealer must hit on Soft 17, while insurance pays 2 to 1. The Double Exposure Pro Series variations of blackjack are also on offer. They are quite popular among players as they use just one deck of 52 cards. Still, in order to make up for this detail that is advantageous to the player, the game has introduced little, yet very important changes to the rules. 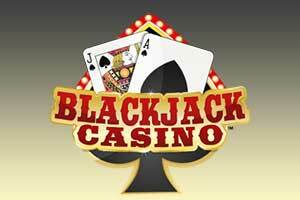 The hand of blackjack pays 1 to 1 and all other wins pay 1 to 1, as well. The dealer must stand on 17 and draw to 16. The dealer wins all ties except tied blackjack. The casino also hosts a classic version of 21, which is played with a single hand and is developed by Microgaming. This game uses two decks of cards and is called European Blackjack Gold. The minimum bet is £1, but those who prefer playing with higher stakes can wager up to £200 per hand. The rules are standard – the dealer must stand on all 17s and is not allowed to peek for blackjack, double down is available on the player’s first two cards if they are a hard 9, 10, or 11. This blackjack version has a theoretical RTP of 99.60%. Players who want to experience something different might want to look at the selection of video poker titles offered by Yeti Casino. There are nearly twenty different versions of this game, both single and multi-hand games, where players can choose to bet on only one or on up to 50 hands at once. Those who prefer more classic, even retro looks, should try one of Microgaming’s releases – the graphics are simple, the gameplay is fast, and all the rules and payouts are explained in detail. The minimum bet in most of these games, Jacks or Better, All American, Deuces Wild, Bonus Deuces Wild, Aces and Eights, Bonus Poker Deluxe, Joker Poker, All Aces, Aces and Faces, is only £0.25 per round, but players can place up to 5 coins in denominations ranging from £0.25 to £5. So the maximum amount they can wager is £25 per round. After a winning hand, players are given the option to double their winnings with the Double feature. A single card is dealt and in order to win, they need to pick a card that is higher. The online casino also offers several quite interesting multi-hand video poker variations by NetEnt, namely Jacks or Better, All American, Deuces Wild, and Joker Wild. Patrons can play up to 25 hands simultaneously, which increases the risk but also gives them the opportunity to generate some winnings faster than when playing a single hand at a time. Once again, they can bet up to 5 coins but here, the coin values range between £0.01 and £0.50, so the maximum amount they can wager is £62,50 per round. Interestingly, the minimum coin size when playing with just one hand jumps to £0.10, so you cannot bet less per round. NetEnt has also added a Gamble feature that allows players to double their winnings by guessing whether a face-down playing card is either red or black. Progressive jackpot games are certainly among the most popular casino games online due to their massive jackpots that can turn one lucky player into a millionaire within seconds. In order to provide its members with the best progressives right now, Yeti Casino has added famous titles such as Mega Moolah and Mega Fortune to its gaming library. 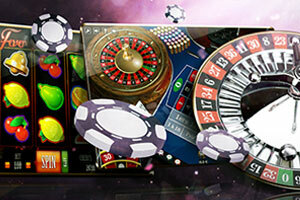 But that is not all – the platform offers some of the most attractive NetEnt and Microgaming jackpot games right now. Some of them share the same jackpot – Mega Moolah and Mega Moolah Isis are a great example of that. These are Microgaming’s biggest and most sought-after jackpot games but there are other progressives by the software provider that can be played in this casino. They include Major Millions, King Cashalot, Treasure Nile, Tunzammuni, WowPot, and LotsALoot 3 Reel. There are two main thing players should consider before spending their money on any of these games, however. The first is that they cannot try them – unlike most games on this site, they cannot be played in demo mode. The other important thing to know is that usually, to qualify for the progressive jackpot, you need to play with the maximum amount of coins and sometimes, with max bets. NetEnt’s progressive jackpots, on the other hand, are available for free play. Players can open them and explore all their bonus features without having to spend any real money. Popular progressive slots by this gaming studio are Mega Fortune, Arabian Nights, Hall of Gods, Divine Fortune, Cosmic Fortune and Mega Joker. They can all be played at Yeti Casino alongside NetEnt’s Caribbean Stud Poker, which also has a progressive jackpot. The games in Yeti’s Live Casino are provided exclusively by Evolution Gaming, one of the world’s leading companies that create and stream live dealer games. The provider has live casino studios in Latvia, Malta, Canada, as well as elegant on-premise studios in land-based casinos in Spain and Belgium. However, the company also offers country-specific games such as Deutsches Roulette, London Roulette, Norsk Roulette, and Svensk Roulette. These all can be accessed from Yeti Casino but the Live Casino lobby hosts many more games. Among them, players would find over 30 blackjack tables with various betting limits. Most of these are high-stakes games or have standard limits, while a small portion of the tables allows lower bets. Other live games that can be played are Baccarat, Baccarat Squeeze, Caribbean Stud Poker, Ultimate Texas Hold’em, Three Card Poker, and many others. Players can choose from several different languages, including English and Norwegian. There are also several VIP tables with limited access. Am I Allowed to Play Legally at Yeti Casino? 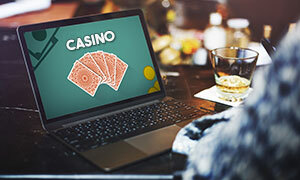 Yeti Casino’s operator is fully licensed and authorized by the Malta Gaming Authority and the UK Gambling Commission to offer gambling services over the Internet. Playing here is, therefore, completely safe and legal. 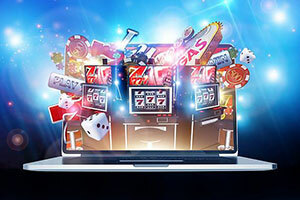 However, users residing in countries where gambling and online gambling, in particular, are prohibited by law would not be able to register an account, make a deposit or play for real money at Yeti Casino. In What Languages Can I Contact the Customer Support? The Customer Support Department at Yeti Casino is available at any time of the day or night for British and English-speaking players. However, there are also support agents who can fluently communicate in German, Dutch, Swedish, Norwegian, and Finnish. The casino processes payouts within 24 hours during the week and players who request a withdrawal during the weekend will need to wait for the next business day for their withdrawal to be processed. Usually, the money reaches the player within 2 to 5 business days, but the exact time frame varies, depending on the preferred payment method. How Can I Claim Bonuses from Yeti Casino? Once players register a valid account with Yeti Casino, they automatically receive bonuses and other promotions in their user account. 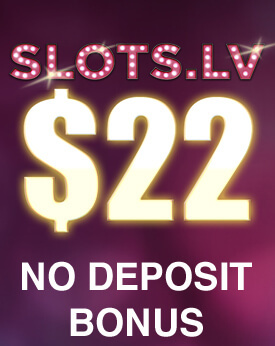 They can also cancel a bonus or if they wish to be excluded from the casino promotions, they can opt-out from receiving bonuses by specifying it in the My Profile page of the website.